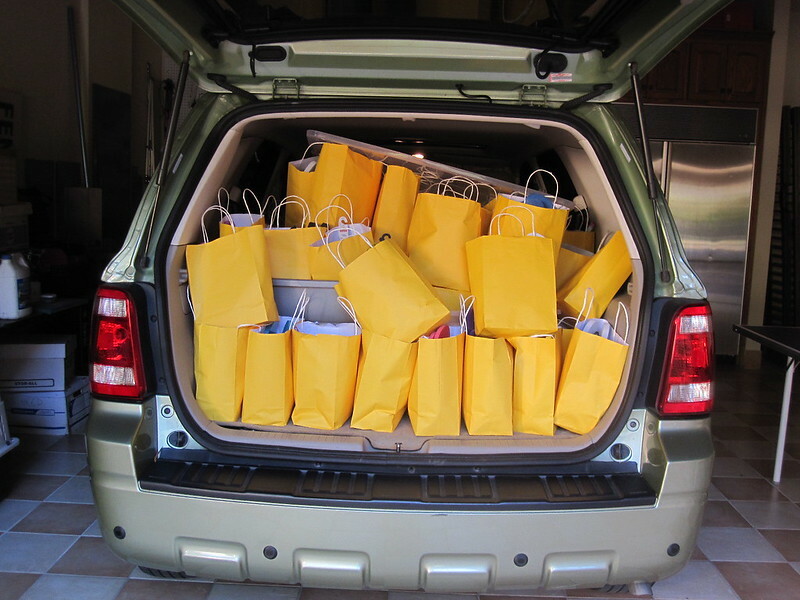 Each year, New Hope Foundation, in alliance with the Dallas Bar Association and Notre Dame Club of Dallas, delivers gift baskets to local women’s shelters. The women served are victims of violence, including human trafficking, or they are homeless and alone. 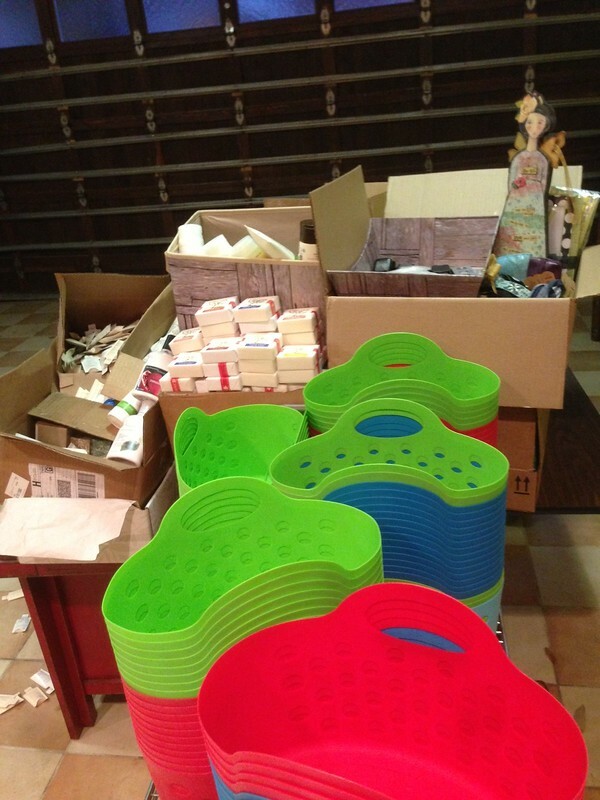 They often have nothing, so the baskets provide some basic necessities and a bit of dignity and hope. If you would like to donate completed Mother’s Day Gift Baskets or items for them, please see below or click here to open our Mother’s Day Gift Basket flyer. 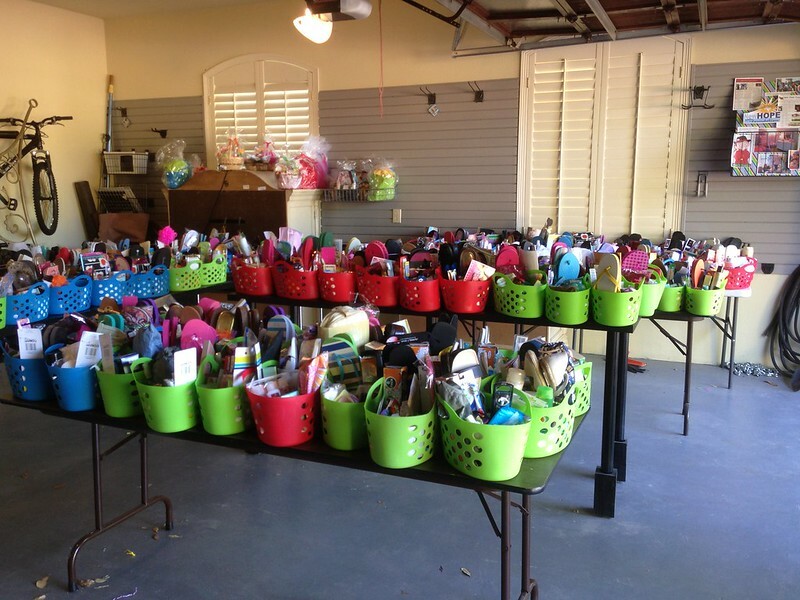 We are seeking donations of completed baskets from local groups, organizations, and families. We are asking each group to pledge to make as few as 10 or as many as 50, but any amount is appreciated! Or you may donate goods so that our volunteers may complete baskets for you. We ask that you use only new items; however, gently used paperback books are welcomed. It is also important that each is enclosed with tulle (above left), plastic (above right), or shrink wrap to keep contents together during transportation (see more photos of past baskets below). Lastly, it would be helpful to include a tag that identifies contents, especially if you are including sized items. 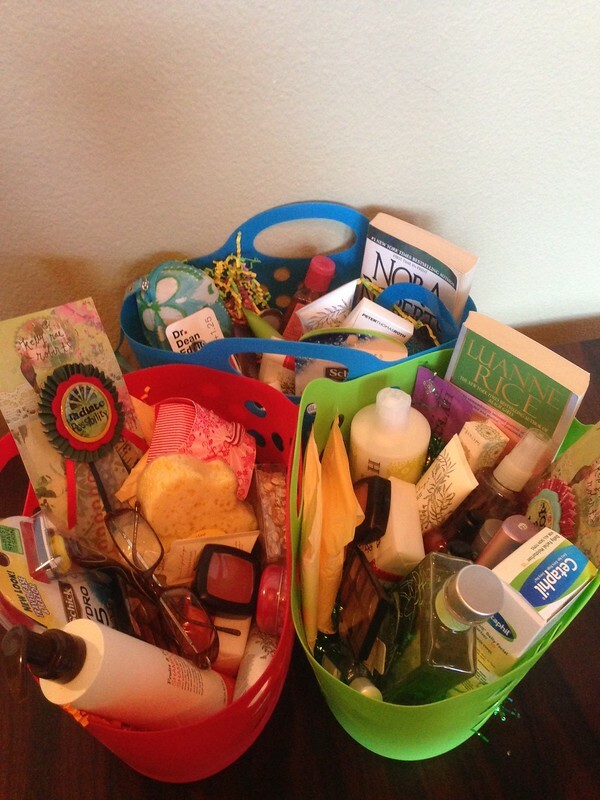 All baskets should include soap, shampoo, conditioner, and a loofah or washcloth. In addition to those items, you may include any (or all) of the following, and feel free to add any appropriate item not listed. Please do not include candles, alcohol, things that might spoil, gift cards or anything too valuable, or your personal information. And THANK YOU! You may not know the person you are helping, but they are VERY grateful! If you would like to donate monetarily to this project – or any of our other New Hope Foundation projects, you may donate online using the PayPal Donate button below. Thanks to our amazing volunteers and donors, we donated 343 Mother’s Day Baskets in 2014, more than tripling our baskets from last year! 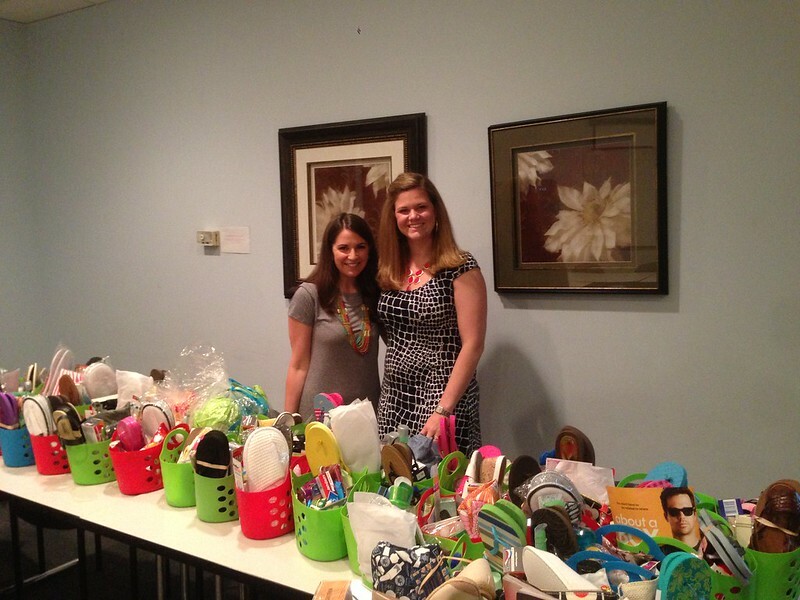 The Notre Dame Alumni Club of Dallas donated 103 fully assembled baskets – each with an inspirational note – and the Dallas Bar Association Community Involvement Committee and a growing list of generous individuals all helped to make this year’s Mother’s Day Gift Baskets a very special success. 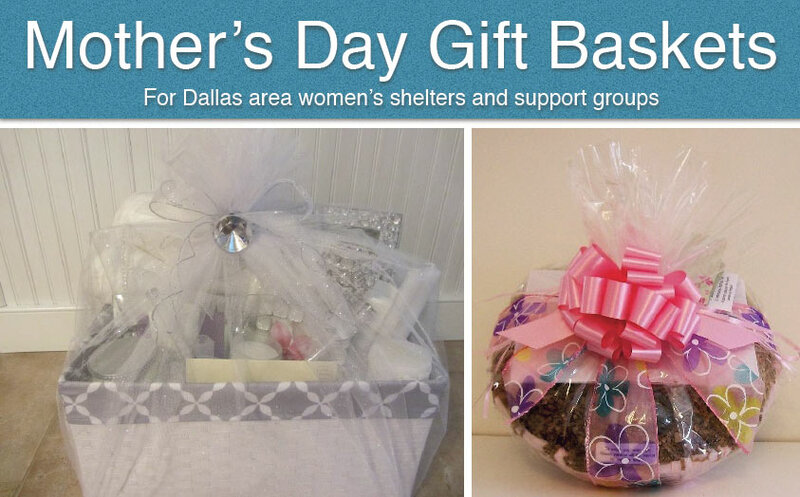 The women who will receive these baskets often quickly leave abusive situations with nothing. Our baskets are intended to provide the necessities – a reusable, shower-friendly basket full of useful items, including hotel-sized toiletries, pens and notepads, new wash cloths or plastic loofahs, small packs of tissue, new socks and under garments of all sizes, gently used reading materials, small gift items like bookmarks or puzzle books, inspirational materials, makeup samples, perfumes, and feminine hygiene products. We’ve even received T-shirts, reading glasses, purses, and some jewelry. Those were bonuses we weren’t expecting and are certain to bring smiles to some moms’ faces during a very difficult time. 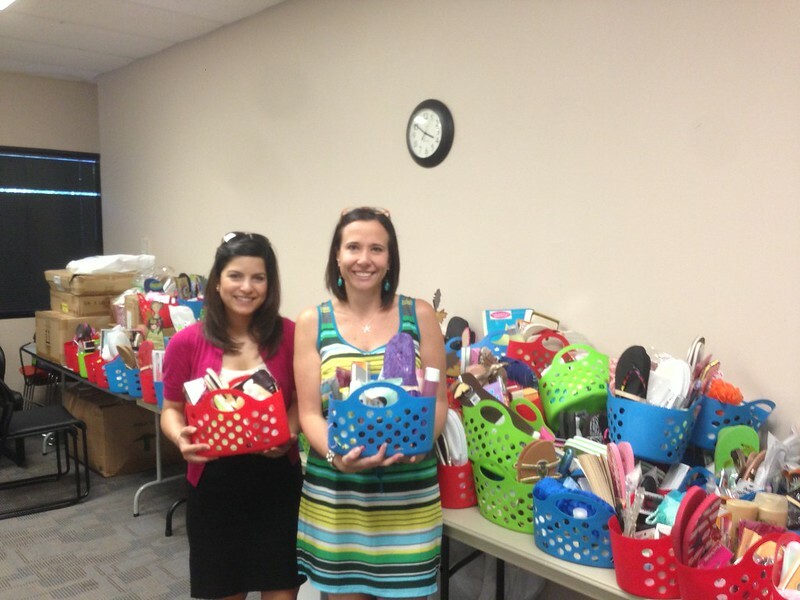 Some of our baskets were also delivered to Genesis Women’s Shelter and Support in Dallas. Genesis is a local non-profit committed to preventing violence and providing counseling to those it affects. They provide shelter, safety, counseling, and expert services to battered women and their children. Genesis currently has a wait list of more than 200 women seeking individual and group counseling to help them navigate the difficult path out of the abusive cycle of domestic violence. 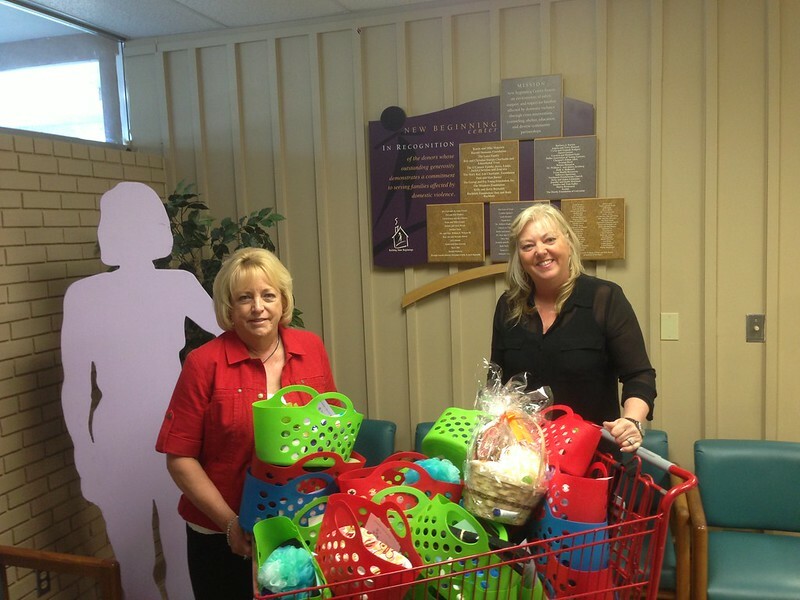 Our baskets were gratefully accepted at New Beginning Center in Garland. New Beginning, whose motto is “Where life without domestic violence begins,” is a non-profit agency serving families affected by domestic violence. New Beginning’s vision is to be the community’s driving force in the prevention of domestic violence. They provide a wide array of abuse victim services, including safe housing, food, clothing, crisis intervention, counseling, legal assistance, vocational and educational resources and many other services to help those affected by domestic violence. 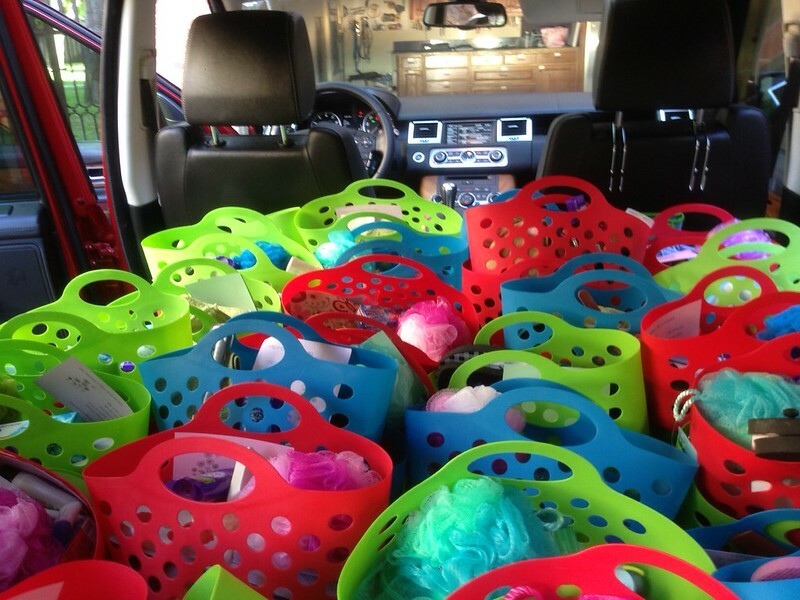 The Family Place, whose motto is “Where family violence stops,” also received many of our baskets. The Family Place provides a wide assortment of services and programs, including transitional housing, emergency shelter services, and counseling for adults and children. They have outreach offices for group counseling and support services at several outreach offices throughout the Dallas area. 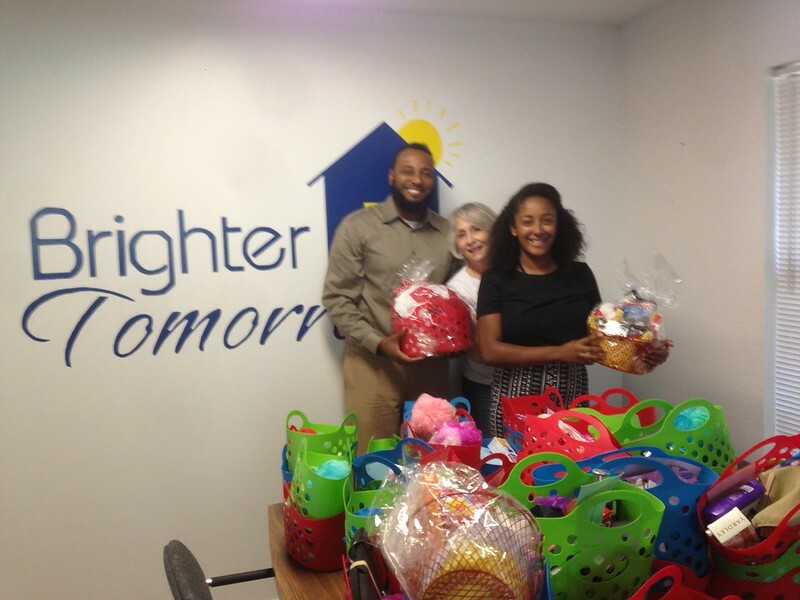 Some of our Mother’s Day baskets were also delivered to New Friends New Life. New Friends New Life restores and empowers formerly trafficked girls and sexually exploited women and their children. By providing access to education, job training, interim financial assistance, mental health and spiritual support, New Friends New Life helps women and their children overcome backgrounds of abuse, addiction, poverty, and limited opportunities.